I participated in the reddit Christmas exchange. So far, I've had pretty bad luck. The exchange I participated in in spring of 2015 resulted in me sending and getting nothing. This one - I sent and at least I got into the "make up" pile. The person who stepped in when my partner failed sent me a tardis sleep mask and a Catan pouch. Will use the pouch. 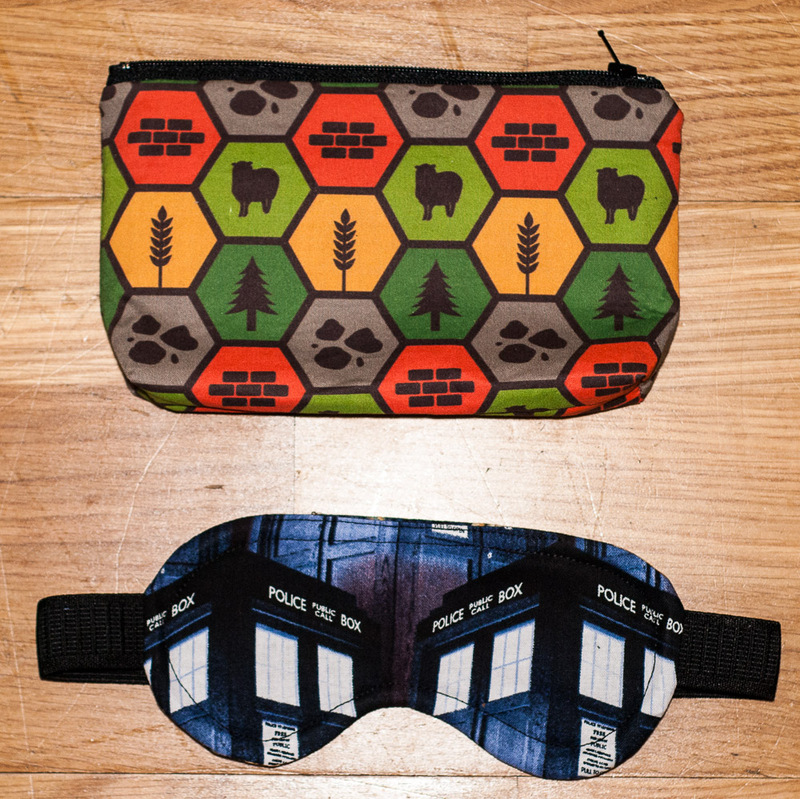 I don't use sleep masks. At least it came!